The item shipped to me neither looks like, nor smells like, the product Overstock described and portrayed. I placed an order for the original version of Opium, in the original packaging that was pictured with the description, price, etc., on the Overstock web site. That is to say, a slightly textured, clear glass bottle with a burgundy-brown cover with the name Opium and Yves Saint Laurent discreetly placed across the bottle. What I received was a garish brown vessel circular in shape but with a large hole etched in the front, where the brand name and design house appear. It's hideous. Truly hideous. Looks like a garage-sale reject. (And I'm a big fan of garage sale treasures, but not crap). Moreover, the scent is the re-engineered version of Opium, a slightly soapy-smelling one which, for some bizarre reason, makes me feel like my nose has been trapped in a dust storm. There's something in this Opium that makes me feel as if I'm actually inhaling dust. It's truly unpleasant. THe reason I ordered the product depicted in the Overstock blurb was precisely because I detest the most recent iteration of Opium and thought I'd lucked into a random supply of the old stuff. I couldn't have been more wrong. So disappointed. I have used opium for 30+ years. I thought from the picture and product description that I was ordering the original scent. The product which I received is the new scent, in the new package design. The product description is completely inaccurate. Overstock you need to correct your web page. Not a satisfied customer this time. Overstock.com, you let your buyer down. When I was a real little girl, grandma let me spray a little of this one on me. Thrity years later I thought I 'd let nostagia get the better of me and I bought a little bottle to try. I received so many compliments from my male co-workers everytime I wore it. (I work with mostly men.) I loved the exotic fragrence and even while sweating in Arizona heat, it persisted. I would definatly own this perfume for special occasions if not for everyday. 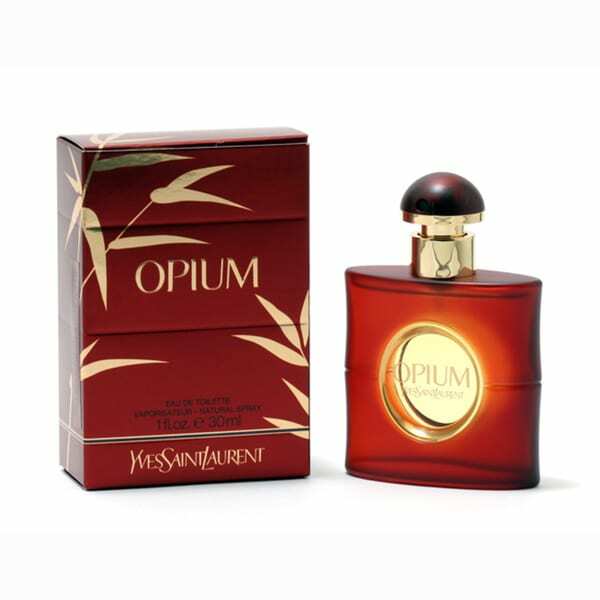 I have been wearing Opium for years and just love it. It has a rich spice scent and lasts for many hours. The price here is good, it's been the same price range for 20 years! I love this but the bottle was just to small for the price. Have used this fragrance for 25 years and I get many compliments on "how good I smell". Will use this product as long as it is available. I have used Opium for many years and was disappointed that you had the "older version" of this product. Since they have changed the product it isn't the same. I thought from the picture that you may have had the older version which was what I was looking for but it isn't. It's the "newer" version that isn't as nice as the older product. Hope that Yves Saint Laurent returns to the orginial version as that is fantastic. Great price on my favorite. Prompt delivery and great price. Will purchase again. Opium always has a classy scent. I have worn opium since I started using fragrance it has always been my favorite. I get people asking me all the time what am I wearing. A little goes a long way so don’t over spray. My grandma used to use this product and I purchased it to remember her scent because she recently passed; however, I’m highly disappointed as the scent is stronger and very pungent. It does not smell the way it used to. Think you'll like this light scent. Dressy and clean. This is one of my old favorites and it never disappoints.